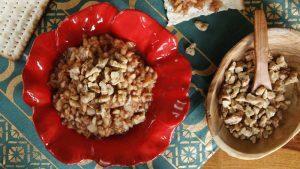 Home > Blog > Amy Campbell > Red Meat: Still “What’s for Dinner”? Red Meat: Still “What’s for Dinner”? Back in October of 2015, the International Agency for Research on Cancer (IARC), which is an independent agency of the World Health Organization (WHO), issued a startling report about red meat: processed red meat was “carcinogenic to humans” and unprocessed, or fresh, meat was “probably carcinogenic.” Several days later, the WHO issued a statement (in an effort to help calm down some of the resulting hype) stating that it wasn’t necessary to stop eating processed meats but that reducing intake can help reduce the risk for colorectal cancer. Interestingly, there was no mention of fresh meat in this statement. Where does that leave things? Is red meat OK to eat? What is considered to be “red meat” and “processed meat”? It helps to understand what’s meant by “red meat.” Basically, red meat includes beef, veal, pork, lamb, mutton, goat, and horse. Processed meats are meats that are preserved by curing, salting, smoking, drying, or canning. Hot dogs, ham, sausage, corned beef, beef jerky, and canned meat (remember SPAM?) are examples of processed meats. What are the health concerns from eating red and processed meats? Heart disease. Most people associate eating red meat, such as a piece of steak or a pork chop, with a higher risk for heart disease. And many studies do suggest that a large intake of red meat is a risk factor for heart disease; processed meats are linked with an even greater risk of heart disease. However, not all studies have drawn the same conclusion, because eating lean cuts of meat can definitely be part of a heart-healthy diet. Cancer. Several studies have shown that eating red meat and processed meat is linked with an increased cancer risk. But again, this link isn’t so clear cut because cancer risk may depend on how the meat is prepared. For example, cooking at high temperatures (grilling, broiling, barbecuing, or frying, for example), can form carcinogenic substances called heterocyclic amines (HCAs). Barbecuing and pan frying seem to be among the worst methods of cooking in terms of HCA formation. Processed meats tend to be high in sodium, which is linked with an increased risk of mouth, throat, esophageal, stomach, and colon cancers. Diabetes. Increasing your intake of red meat by even half of a serving per day could increase your risk of developing Type 2 diabetes by 48%, according to a 2013 study out of Singapore. On the other hand, cutting your red meat intake could lower your risk by 14%. Not all researchers agree with the study’s findings, and that may be based, in part, on the cut of meat consumed. Higher-fat cuts of meat contain more saturated fat, which could be linked with diabetes risk. Plus, high-fat cuts are higher in calories, which may lead to weight gain and, therefore, a higher risk of developing diabetes. So very lean cuts of meat may not have the same amount of risk associated with them. Plus, there may be other factors in meat besides saturated fat that play a role in diabetes risk. 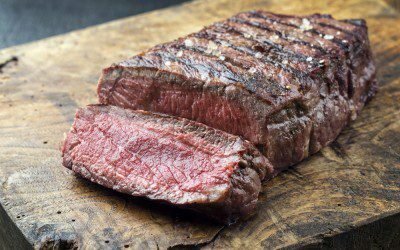 What are the health benefits to eating red meat? Red meat isn’t inherently unhealthy. In fact, it has a lot going for it, nutrition-wise. Red meat is an excellent source of many essential nutrients, including protein, iron, zinc, and B vitamins. Are there other reasons to limit red meat intake? Health concerns aside, eating red meat can have an impact on the health of our environment. The Environmental Working Group reports that beef has a higher “carbon footprint” than poultry, fish, or plant foods. Red meat increases greenhouse gas emissions (cattle, sheep, and pigs belch out a lot of methane gas!). And red meat production means that a high amount of fertilizers and water are used to produce feed for the animals. Another concern is the use of antibiotics that are administered to the animals, which could lead to antibiotic-resistance. What’s the bottom line about eating red meat and processed meats? Choose leaner cuts of meat. The terms “loin” and “round” indicate lean cuts. You can also go for “Choice” or “Select” grades of meat instead of “Prime.” And the less marbling you see in the meat, the leaner it will be. Trim off as much visible fat as possible. Go easy on processed meat. Fresh is best. Also, look for lower-sodium varieties of processed meats whenever available. Cook at lower temperatures. You don’t need to eat your meat rare, but to possibly reduce your cancer risk, try cooking meat at a lower temperature for a longer period of time. Avoid charring your meat on the grill, too. Stick to reasonable portions. Sitting down to a 16-ounce steak may not be the best idea. Instead, use the plate method as a guide (about a quarter of your plate filled with a protein food) or eat a piece of meat that’s about the size of the palm of your hand (3–5 ounces). If that seems to look lonely on your plate, add more vegetables and whole grains to balance things out. Go meatless once in a while. Add variety and nutrition to your eating plan by varying the type of protein that you eat. Red meat is fine on occasion, and you may already be eating poultry, eggs, and fish. Try a meatless meal or two during the week. You can get plenty of protein and other nutrients from plant foods such as beans, peas, lentils (pulses), tofu, and tempeh.